Information regarding military exercises is classified and difficult to research. Though there was unusually high and confusing drill activity on 9/11, this strange coincidence has not gained much public notice. This essay quotes military officials from their own magazines, and compares their statements to what the 9/11 Commission wrote about the so-called surprise factor, and also to the Commission’s position that the drills aided the response. Though both the 9/11 Commission Report and members of the Bush Administration repeatedly stated that the use of planes as weapons could not have been predicted, other official sources indicate that military exercises had been underway to counteract this very possibility. 1. Was it a Surprise that Hijacked Planes Were Used as Weapons on 9/11? The element of surprise has been widely given (and quoted) as the reason why the 9/11 attacks were so successful against the world’s greatest military power. 3. 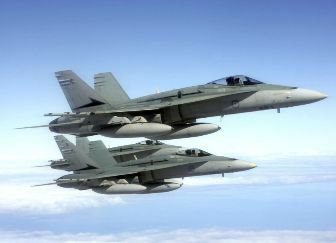 Changes in the dates of annual and semi-annual military air defense exercises resulted in an unprecedented concentration of air drills on September 11th, and included hijackings and drills in which planes hit buildings. These will be explored later. The transfer of two line defense roles to senior members of the Bush-Cheney Administration, paired with the concentration of air drills on the day itself, raise serious questions regarding the success of the attacks. A 2003 Joint Inquiry into the Intelligence Community tells a different story. “President Bush’s adviser [Condoleezza Rice] told the public in May 2002 that a pre-Sept. 11 intelligence briefing for the president on terrorism contained only a general warning of threats and largely historical information, not specific plots, the report said. But the authors of the congressional report, released last week, stated the briefing given to the president a month before the suicide hijackings included recent intelligence that al-Qaida was planning to send operatives to the United States to carry out an attack using high explosives. The contradiction could not be more evident. There are thus stark contradictions: 1) between White House spokespersons and each of: The Joint Inquiry into Intelligence Community Activities of July 2003; the August 6, 2001 Presidential Briefing Memo; many press reports detailing the two foregoing documents; and the testimony of FBI Director Louis Freeh; 2) between the 9/11 Commission’s findings and all of the above; and 3) within the 9/11 Commission Report itself. As the foregoing summary shows the element of surprise to have been very much in doubt, a new investigation should question how a non-surprise attack could have been so successful. 2. What did the Military Training Drills Reveal about US Expectations? the fact that the attacks originated, unpredictably, from within the country, and not from outside it. The Pre 9/11 Military Training Drills: Though neither the White House nor the FBI had envisaged planes as weapons, the military, supposedly adrift from its government and bereft of communication –no small feat with a 2001 budget of over $400 billion — had. The following exercises demonstrate that many military minds were concerned with the express idea of planes hitting buildings. MR. BEN-VENISTE: …My question is: The concept of terrorists using airplanes as weapons was not something which was unknown to the U.S. intelligence community on September 10th, 2001, isn’t that fair to say? GEN. MCKINLEY: I’d like the intelligence community to address that. I would find it hard to believe that they hadn’t speculated against that. But it was unavailable to us at the time. MR. BEN-VENISTE: Well, let’s start, for example, with September 12th, 1994, a Cessna 150L crashed into the South Lawn of the White House, barely missing the building, and killing the pilot. Similarly, in December of 1994, an Algerian armed Islamic group of terrorists hijacked an Air France flight in Algiers and threatened to crash it into the Eiffel Tower. In October of 1996, the intelligence community obtained information regarding an Iranian plot to hijack a Japanese plane over Israel and crash it into Tel Aviv. In August of 1988, the intelligence community obtained information that a group of unidentified Arabs planned to fly an explosive-laden plane from a foreign country into the World Trade Center. The information was passed on to the FBI and the FAA. In September of 1998, the intelligence community obtained information that Osama bin Laden’s next operation could possibly involve flying an aircraft loaded with explosives into a U.S. airport and detonating it. In August 2001, the intelligence community obtained information regarding a plot to either bomb the U.S. Embassy in Nairobi from an airplane, or crash an airplane into it. In addition, in the Atlanta Olympics, the United States government and the Department of Justice and my colleague Jamie Gorelick were involved in planning against possible terrorist attacks at the Olympics, which included the potential of an aircraft flying into the stadium. In July 2001, the G-8 summit in Genoa, attended by our president, among the measures that were taken were positioning surface-to-air missile ringing Genoa, closing the Genoa airport and restricting all airspace over Genoa. Was not this information, sir, available to NORAD as of September 11th, 2001? 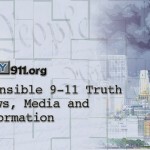 GEN. MCKINLEY: … we had not postured prior to September 11th, 2001, for the scenario that took place that day. This question was followed by a wall of obfuscation from General McKinley and Colonel Scott, and Ben-Veniste never did get an answer.35 Nor was the matter included in the Commission Report. These two points raise disturbing questions as to why Vigilant Guardian diverted much of the US defense fleet to the North Pole that day; who made the decision that this should occur; and why NORAD and the Commission were so silent about the hijacking drills. On the morning of September 11th, two nationwide annual air defense drills were in full stride. A second annual global readiness exercise, Global Guardian, which had traditionally been held in October or November, and which, according to NBC News military analyst William Arkin, had been scheduled for October 22-31, 2001,38 was also underway. The Space Observer, a military newspaper, reported on March 23rd 2001 that this exercise was scheduled for October 2001,39 which meant that sometime after March 23rd, Global Guardian was rescheduled for early September. Thus the evidence suggests that mock hijacks were in progress on September 11th, which would explain the reports of military officers in the next section. There is a strong and clear contradiction between the White House and 9/11 Commission claims of wildly unpredictable surprise attacks, and the training exercises which were running to counter such attacks. In short, these training exercises reflected an expectation that multiple, simultaneous, internal hijackings using planes as weapons were very imaginable indeed. How did the Commission deal with this problem? With the exception of one footnote mentioning Northern Vigilance, it simply failed to mention the drills at all. By repeatedly claiming that no one had expected such attacks to have originated from within the United States, it diverted attention away from the drills, and away from warnings that there were Muslim operatives within the country who were learning to fly commercial airliners. Were these diversions merely cowardly flights from a failed responsibility, or were they more ominous indications of foreknowledge? This crucial question should be the subject of a new impartial investigation. If, as the evidence suggests, the White House and the Commission were not surprised by such attacks (whereas in fact they were aware of such events)46 the new investigation should ask why they said they were. Did the 9/11 Military Training Drills Help or Harm the Response? Unfortunately for the Commission, this conclusion has been contradicted by many military participants that day. Six minutes later, at 8:46, the exercises were still causing confusion: “Deskins ran to a nearby office and phoned 1st Air Force Chief Public Affairs Officer Major Don Arias in Florida. She said NEADS had a hijacked plane, no, not the simulation likely heading for JFK. Thus it would appear that simultaneous air defense drills were fogging the defense data streams and that personnel were chasing 4 real hijacked airplanes among 29 unidentified blips. And so there is a profound contradiction between the Commission’s position that the drills enhanced the defense response, and the reports by officers on duty that day. Why, when only 4 planes were hijacked, were there so many reports of other hijacked planes? And why were the military personnel so ready to interpret these hijacking reports as being part of the exercises, when no one had ever “imagined” such a thing? Given the warnings of incipient terrorist attacks that had been repeatedly received by the Administration and the FBI, why would anyone coordinate two major annual air training exercises at this time, and divert key resources to the North Pole on an outdated mission? Who was in a position to do this? Commissioner Richard Ben-Veniste resolved to pursue these questions “very very diligently”, and made determined efforts to do so. But what did the Commission do about his unanswered questions? It ignored the issue of the drills and continuously pointed to FAA incompetence.58 However, blaming the FAA lacked credibility, because the failures of duty were not followed up and no one was disciplined. Thus the the mock live hijackings which were apparently in progress on the morning of September 11th should be investigated as a plausible explanation for why the national defense was such an abysmal failure. If the drills impeded the response, a new investigation should question why the two strange departures from longstanding air defense protocols were made in the months before 9/11. And if the drills enhanced the response, a new investigation should ask how the attacks could have succeeded on a day when the country was especially prepared to handle them. Either way, the situation cries out for clarification. 1 9/11 Commission Transportation Secretary Norman Mineta Testimony. Director of Advanced Space Programs Development under Presidents Ford and Carter. Email, September 26, 2007. 5 “Text: Rumsfeld on NBC’s ‘Meet the Press’”, September 30, 2001. 6 White House News Release. “President Meets with Muslim Leaders,” Sept. 26, 2001. 7 American Free Press Service, Oct. 23rd, 2001. 12 Bob Woodward and Dan Eggen. “Aug. Memo Focused On Attacks in U.S.” Washington Post, May 19, 2002. A transcript of this presidential briefing was later published by CNN: “Transcript: Bin Laden detrmined to strike in US,” April 10, 2004. 13 The White House. “Press Briefing by Ari Fleischer,” May 16, 2002. 14 “Bush, Clinton figures defend terrorism policies,” CNN Report, March 24, 2004.
http://www.gpoaccess.gov/serialset/creports/pdf/fullreport_errata.pdf, and is found on pp. 124-5. 23 Public hearings of the National Commission on Terrorist Attacks Upon the United States, 10th, April 13, 2004, p. 28. 26 Public hearings of the National Commission on Terrorist Attacks Upon the United States, 9th, April 8, 2004, p. 8. 30 Dennis Ryan. “Contingency planning Pentagon MASCAL exercise simulates scenarios in preparing for emergencies,” Nov. 3, 2000. 34 “September 11, 2001,” The New Yorker, September 24, 2001. 35 Public hearings of the National Commission on Terrorist Attacks Upon the United States, 2nd, Day 2, May 23, 2003. A second subpoena served on the Pentagon was similarly unsuccessful in obtaining records. (Philip Shenon. 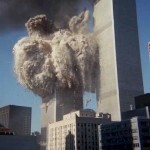 9/11 Panel Issues Subpoena to Pentagon. Washington Post, Nov. 8, 2003. 38 Arkin, William M. “Code Names: Deciphering U.S. Military Plans, Programs and Operations in the 9/11 World”, Steerforth, 2005, p. 379. 39 “21st Space Wing Priorities,” Space Observer, March 23, 2001, p. 2. 40 Richard A. Clarke. “Against all Enemies: Inside America’s War on Terror”, Free Press, 2004, pp. 4-5. 43 John J. Lumpkin, Associated Press. “Agency planned exercise on Sept. 11 built around a plane crashing into a building,” August 21, 2002. 44 Bill Nichols, Homeland defense needs now ‘grim reality,’ Sept. 11, 2001. 46 See Commissioner Ben-Veniste’s long list of prior incidents, cited above. 50 Michael Bronner. “9/11 Live: The NORAD Tapes.” Vanity Fair, August 2006, p. 2. 51 Richard A. Clarke. “Against all Enemies: Inside America’s War on Terror”, Free Press, 2004, pp. 4-5. 54 Michael Bronner. “9/11 Live: The NORAD Tapes.” Vanity Fair, August 2006, p. 10. 56 Kathleen Rehm, “Myers and Sept. 11: ‘We Hadn’t Thought About This,’” American Forces Press Service, Oct. 23, 2001. 58 9/11CR. The first 30 pages of the Commission Report alone contain statements criticizing the FAA for delays and false assumptions on pages 11, 26, 27, 29, and 30.